Build your track in a loop! This fun and exciting Glow Tracks playset includes 2 light up Race Cars and a glow in the dark Race Track and other fun accessories. 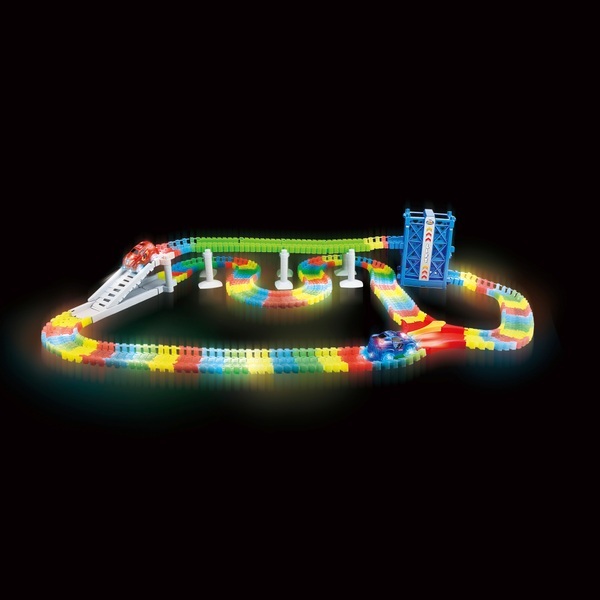 This easy to build 3.4 metre track will give you hours of fun!